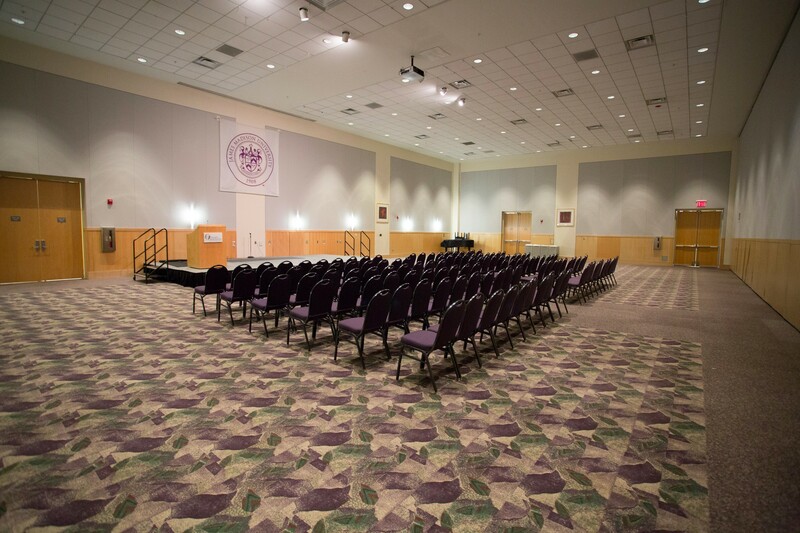 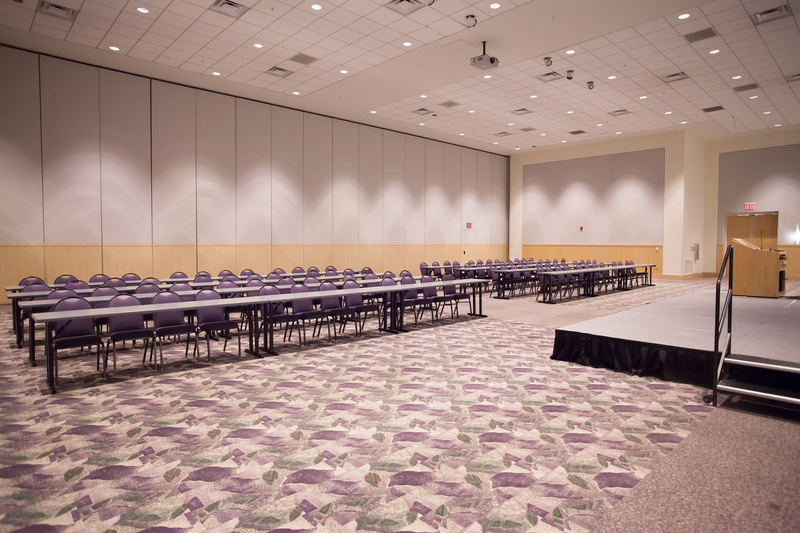 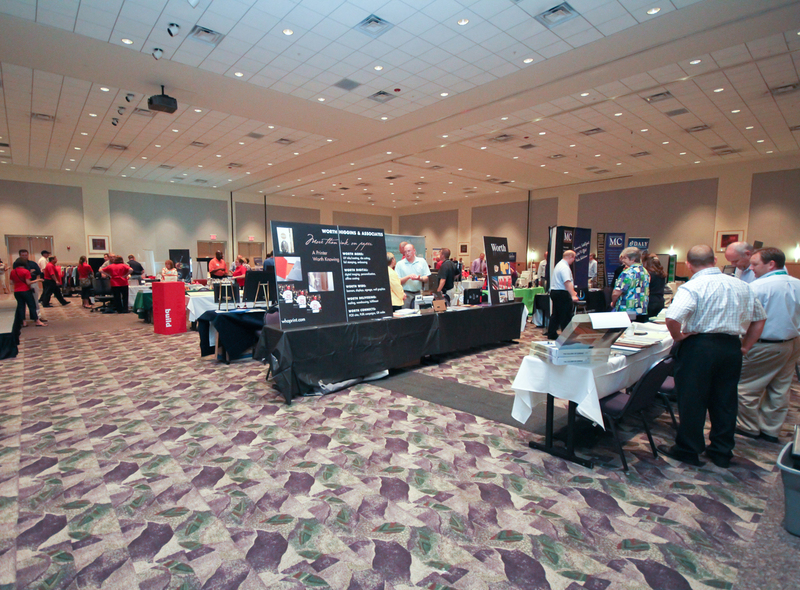 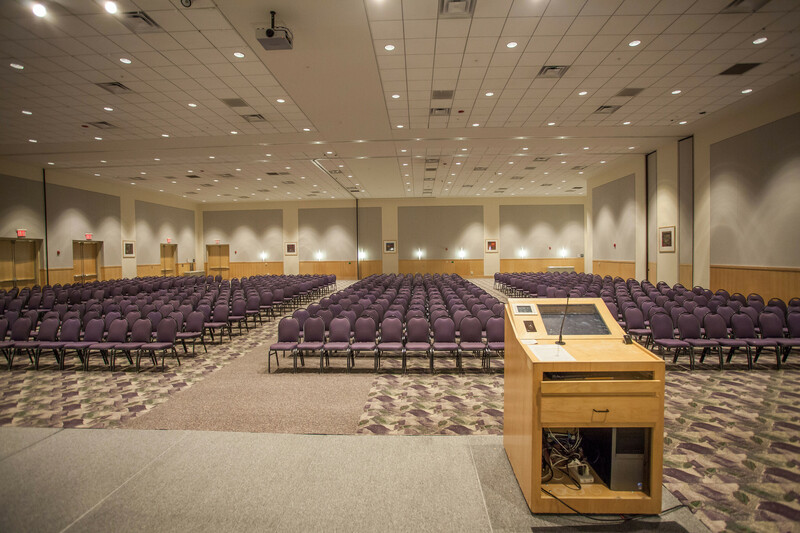 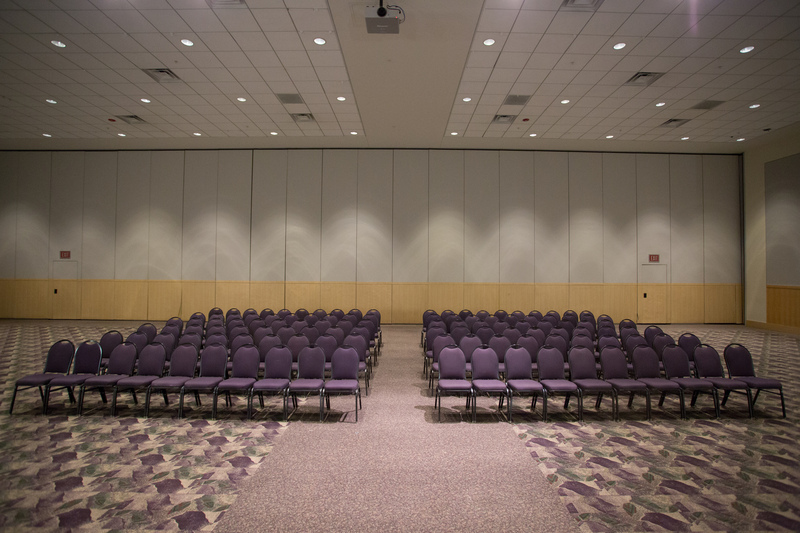 Our largest room, the Ballroom, seats up to 1,000 people and can be divided into two or three separate, smaller spaces. 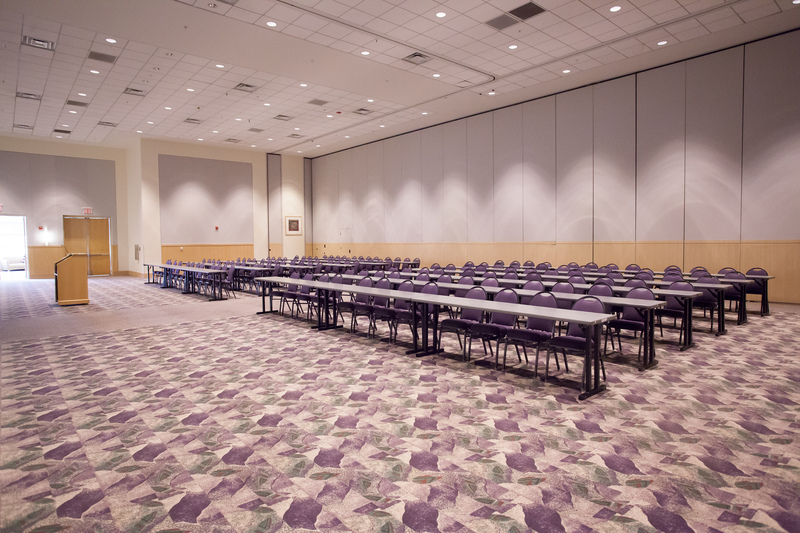 The Festival Ballroom can be reserved as the Grand Ballroom for maximum capacity, or as the Ballroom A or Ballroom B/C option for more flexibility. 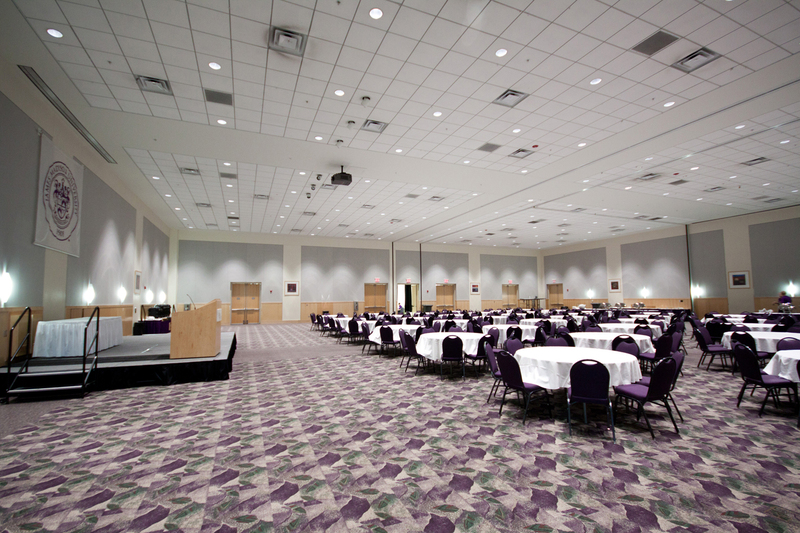 The Ballroom includes a stage, audio/visual and sound equipment, lighting controls, and an optional dance floor.